Terry Tracey - Andrew Goldstone M.D. Terry has worked, for the past 26 years, in the medical field. Her many years of interacting with patients has given her great experience both as a Certified Medical Assistant and also as a Medical Records expert. Born and raised in Maryland, Terry has two grown children and makes it very clear that she is married to her best friend! She enjoys spending her spare time with her family, which includes 3 cats, and friends. Her favorite past time is motorcycle riding. Terry is an integral part of the clinical aspect of our office. Her experience is valued by everyone. 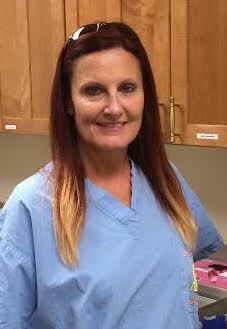 We are pleased to have her as our Medical Assistant.